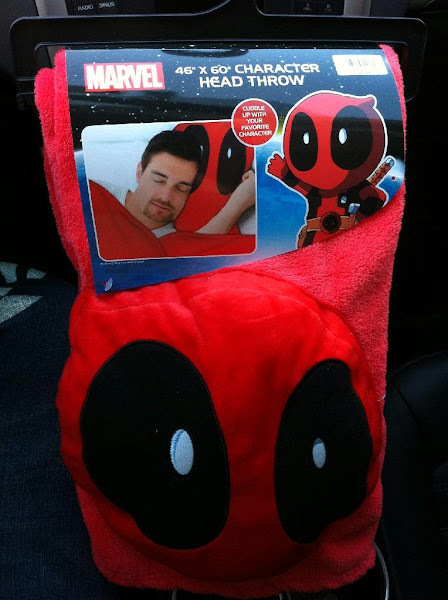 A new Deadpool throw blanket with built in pillow has been spotted in FYE stores. The blanket costs $26.99. Thanks to PoolFan for the tip and picture.